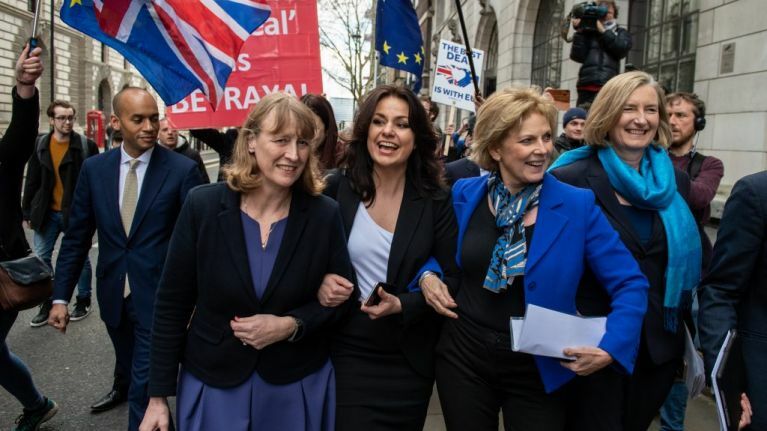 Anna Soubry, Sarah Wollaston and Heidi Allen have announced they are quitting the Conservative party to join the new centrist Independent Group in parliament. The move brings the number of breakaway MPs to 11 and follows eight Labour members announcing they were exiting the party in recent days. In a joint letter to the prime minister, the three Conservative MPs said Theresa May's "disastrous" handling of Brexit and the government's move to the right were behind their decision to leave the party. "We no longer feel we can remain in the Party of a Government whose policies and priorities are so firmly in the grip of the ERG and DUP," they wrote. "Brexit has re-defined the Conservative Party – undoing all the efforts to modernise it. There has been a dismal failure to stand up to the hard-line ERG which operates openly as a party within a party, with its own leader, whip and policy." All three of the MPs voted Remain during the 2016 referendum and have been vocal critics of May's EU withdrawal deal, of Brexit they added: "Instead of seeking to heal the divisions or to tackle the underlying causes of Brexit, the priority was to draw up ‘red lines’. The 48 per cent were not only sidelined, they were alienated. "The country deserves better. We believe there is a failure of politics in general, not just in the Conservative Party but in both main parties as they move to the fringes, leaving millions of people with no representation. Our politics needs urgent and radical reform and we are determined to play our part." 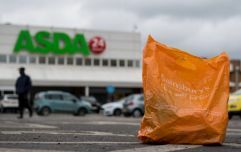 Responding to the letter, the prime minister said she was "saddened by this decision", saying that the trio had given "dedicated service" to the Conservatives. May added: "Of course, the UK’s membership of the EU has been a source of disagreement both in our party and our country for a long time. Ending that membership after four decades was never going to be easy. On Monday, seven parliamentarians, including Chuka Umunna, Luciana Berger and Chris Leslie, quit Labour citing anti-Semitism and "hard-left" policies as factors in their decision to quit. They were joined on Wednesday by Labour Friend of Israel chair Joan Ryan. Despite now sitting alongside their former Labour colleagues on the House of Commons, the former Conservatives suggested that they may continue to back the government's domestic policy agenda. "There will be times when we will support the Government, for example, on measures to strengthen our economy, security and improve our public services,” the three MPs continued. "We will continue to work constructively, locally and nationally, on behalf of our constituents."